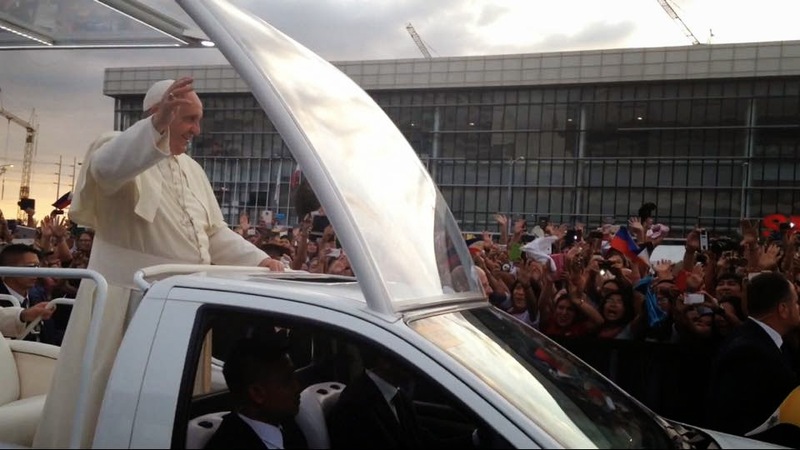 Raid My Closet: Welcome to the Philippines, Pope Francis! Unbelievable. Moving. Indescribable. Crazily beautiful. 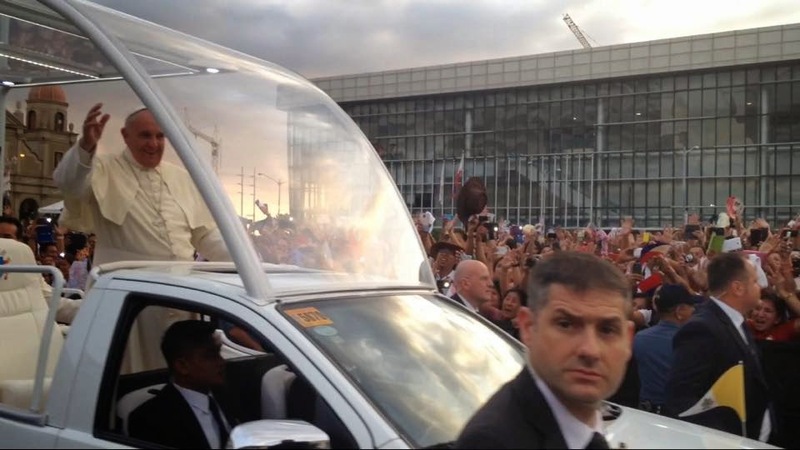 I don't even know how to start explaining the emotions I felt during our close encounter with Pope Francis. The moment I saw his mobile from afar, I started shaking and crying. I acutally thought I won't be able to record this video sa sobrang intense ng emotions. And then we saw him upclose, mas lalong hindi ma-describe the feeling. But for sure, it's something I'm bringing with me forever. BEST FEELING, BEST DAY EVER! The Lord knew how much I wanted to see Pope Francis. 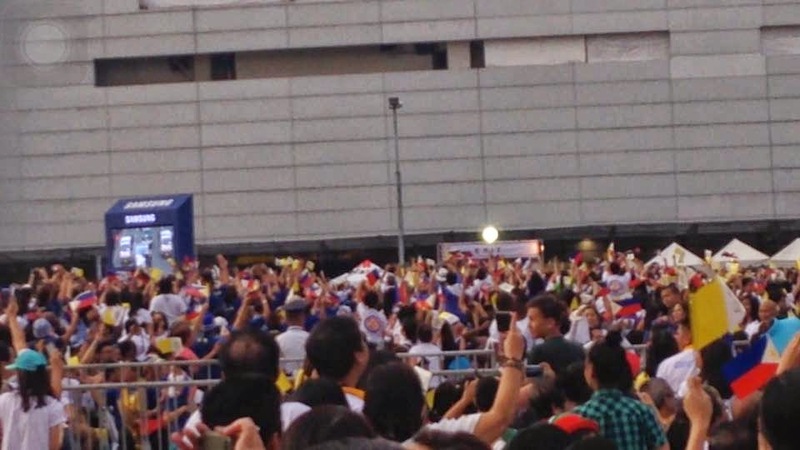 I've plotted my January 18 camp out plans with my friends for Pope's mass at Quirino Grandstand, taking chances to get a good view despite the million pilgrims. 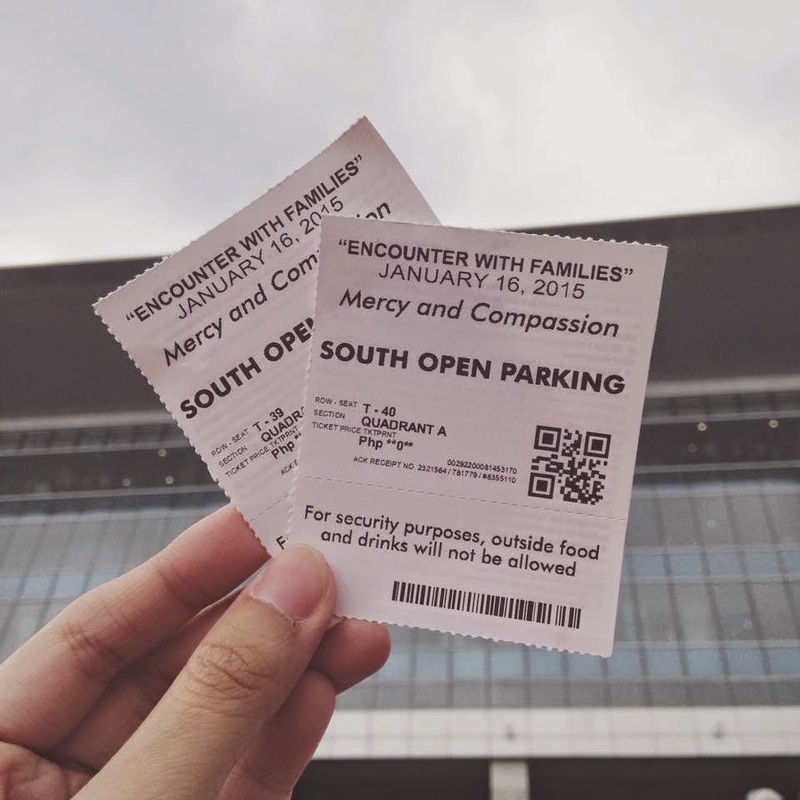 Tuesday before his arrival, I received tickets to Pope Francis' Encounter with the Families at the Mall of Asia Arena. 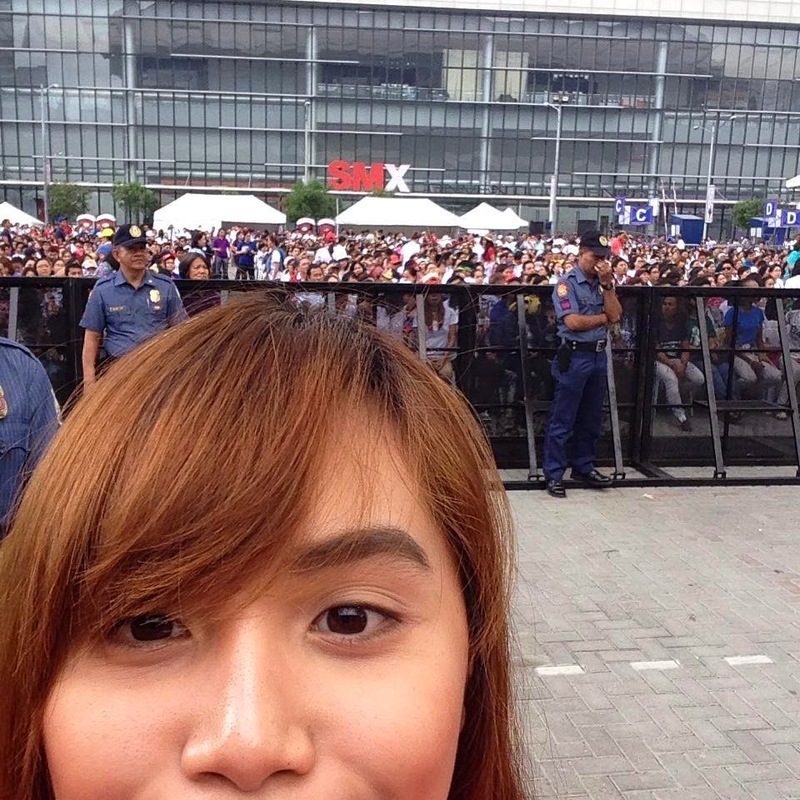 ❤❤❤ My heart was leaping with joy, hindi ako makapaniwala until we actually got to the venue yesterday (January 16). There were huge screens at the grounds, and when they projected the gate of Pope's of Apostolic Nunciature, everyone shouted for excitement to see him exit. Sign that he's on his way to us! Nun ko na lang ulit naramdaman the butterflies in my stomach! 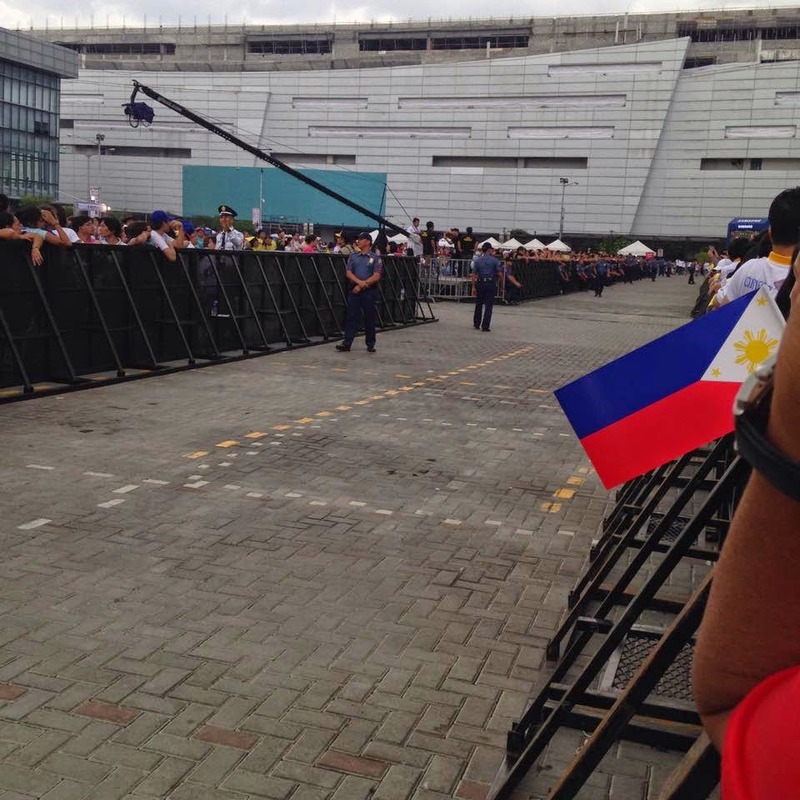 Kilig, tuwa, kaba, halo-halong emotions while eagerly waiting for him! Everyone waved their small flags with full smiles! 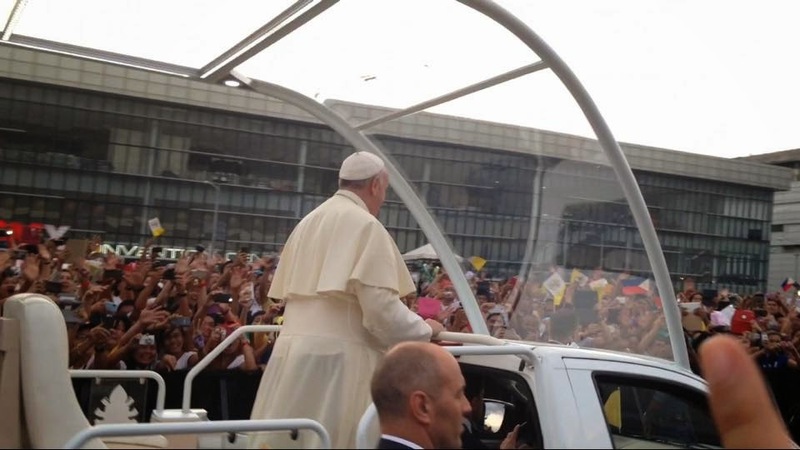 Papa Francisco fever! And then he finally arrived. Up to now I still can't get over the feeling. And kahit kailan hindi ko yun malilimutan. Malayo pa lang nanginginig na ako for some reason, and when he was about 0.5m away from me, I just found myself crying. Mapapaluha ka rin while he was delivering his message about Mercy and Compassion for families. 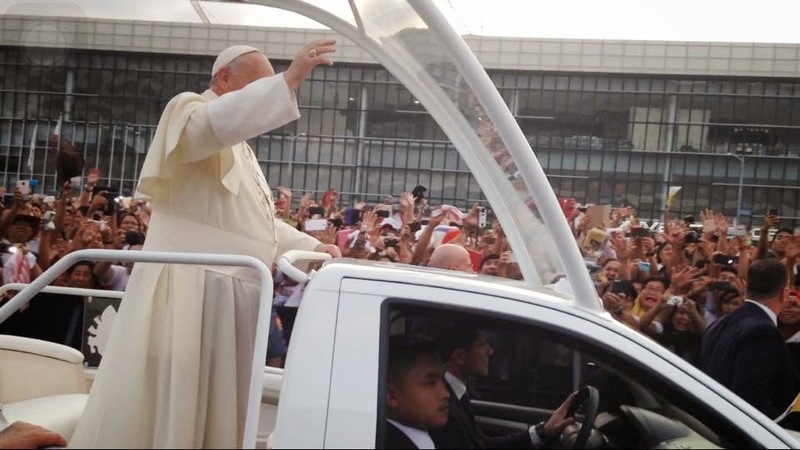 One of the most memorable lessons from the encounter was how Pope Francis deals with problems. He said while cutely laughing, "When I have a problem, I put it in a piece of paper and place it under the image of St. Joseph so he may dream of it". We may take it literally or not, but Pope's reminding us to rest in the Lord, lift up to Him all our worries and doubts, and pray for our families. To quote, "Prayer is resting in God. If we do not pray, we will not know the most important thing of all, God's will for us." His reminders were meaningful and on point. Until we sang the Lord's Prayer, with closed eyes singing and praying, I was drowning na talaga with tears. Believe it or not, iba yung hangin. I felt like God was hugging me. I truly felt the Lord's presence. Ibang klase. And then I remembered what we always say in masses, "Lord, I am not worthy that You should enter under my roof, but only say the word and my soul shall be healed". I only got to fully embrace and understand this after what happened. 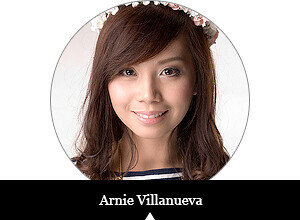 I'm far from being worthy, malayong malayo, but the good Lord has been showering me with so much blessings. If you feel the same, we have all the reasons to be thankful to God everyday.